New Zealand has become a popular destination for people from around the world looking to live in a safe country with first world facilities. Isolated in the vastness of the South Pacific, New Zealand is further away from the world’s major trouble spots than any other country on the planet. The economy is healthy and with ongoing need for workers in a number of locations, there are definitely opportunities right now. 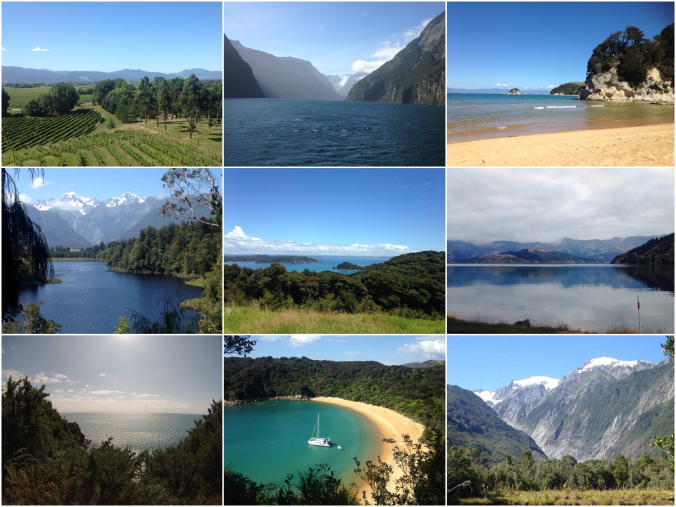 New Zealand is one of the world’s top destinations for backpackers to explore. Young Europeans, especially Germans, love New Zealand with its amazingly variable landscape, ranging from rolling meadows to some of the most spectacular alpine scenery in the world. Backpackers I have spoken to say they feel totally safe hitch hiking along the country’s highways. They comment on the friendliness of the Kiwis they meet, some even amazed, on arriving in a country town to be given free accommodation in family homes. “It was very nice they gave me a bed for the night in their farmhouse. The family I didn’t know. They were very friendly,” Werner revealed as we shared a table in a Queenstown cafe. Backpackers wanting to extend their time here often look for temporary work. Various employers are always looking for short term assistance so a website has been created to help them find workers. Seasonal work is usually available in the fruit and wine growing regions of both islands. Short term bar work is reasonably easy to find in the exciting tourist resorts of Central Otago, along with Rotorua and Taupo in the centre of the North Island. The hundreds of bars and cafes in Auckland and Wellington also provide ongoing short term waiter positions. 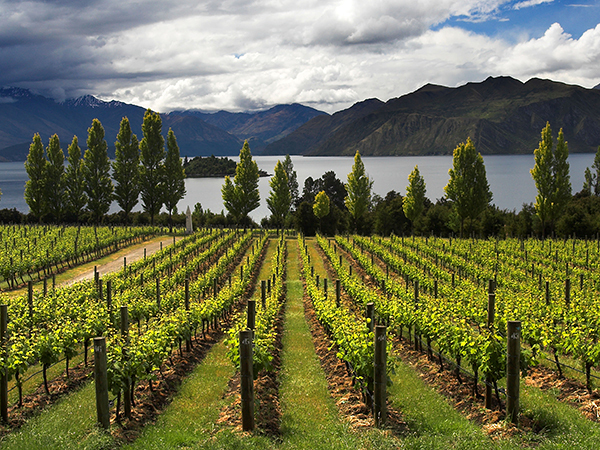 New Zealand is now a major wine producer with numerous vineyards found on both islands. However, the main areas are Hawkes Bay in the North Island and Marlborough and Central Otago in the South Island. Because of the concentration of vineyards in these areas, they are favoured places to look for work over the harvest months of February, March and April. Then there are pruning jobs available from June to August. On top of this work, the expanding wine industry is always looking for people to work in wineries as technicians and cellar hands. Fruit orchards flourish in the warmer areas of both islands so work is always available during harvest time. Apples, peaches and cherries all need to be manually plucked from the trees so plenty of helping hands are needed. I have spoken to young travelers who loved orchard work. They get to stay in basic, but clean accommodations on or near the orchard, forming new friendships along the way. Blenheim is the main town in Marlborough and those choosing to work in this province are rewarded with experiencing rural living. It is also a short drive to the beautiful Marlborough Sounds, one of the greatest waterways in the Southern Hemisphere. The coast around Kaikoura is famous for whale watching and catching crayfish, so if you like fishing and the sea, and are keen to experience the laid back lifestyle of rural New Zealand, Marlborough would be a good choice to do your grape or fruit picking. Offering year round employment opportunities, Central Otago is probably the most popular region for overseas workers, not just for the spectacular scenery but because Queenstown, one of the world’s great alpine resorts, is located here. The nearby tourist magnet of Wanaka is also popular. Queenstown has a huge appetite for workers. There are dozens of large hotels and countless motels that all need staff to keep them running. The large number of restaurants, bars and cafes in both Queenstown and Wanaka are always on the lookout for table staff and chefs. Being the “Extreme Sports Capital of the Southern Hemisphere” Queenstown also attracts those who want to make the most of every day and who like to party. With 220 registered attractions from bungy jumping to wine tours, there is always so much to do in this town which attracts around 2 million visitors a year. It also has an international airport with direct flights to a number of Australian cities. Queenstown offers three major ski fields with another three based around Wanaka. Each needs workers over the busy months of June to September when skiers from around the world flock to their dramatic slopes. Chairlift operators and cafe staff are required during this time, along with maintenance staff. The bonus for working here is free access to the slopes when off duty. 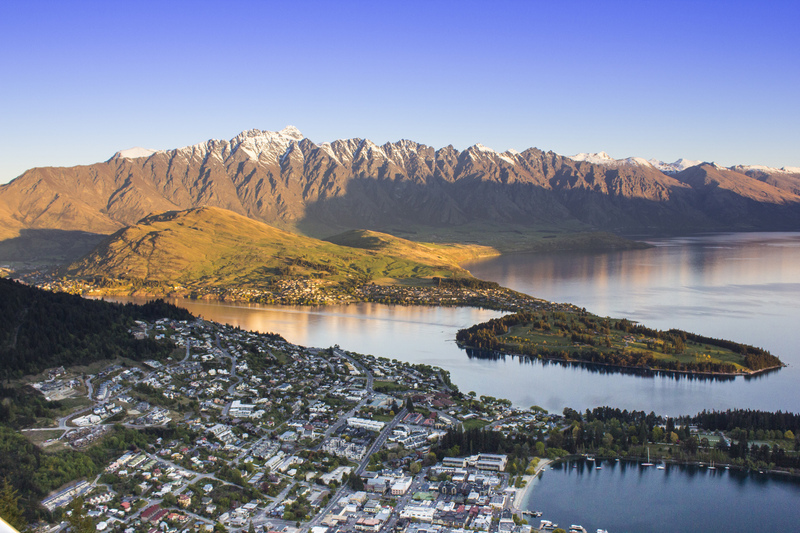 Queenstown is a twenty four hour town, especially over the winter months when the population hovers at around 40,000 and most of them are under 35. 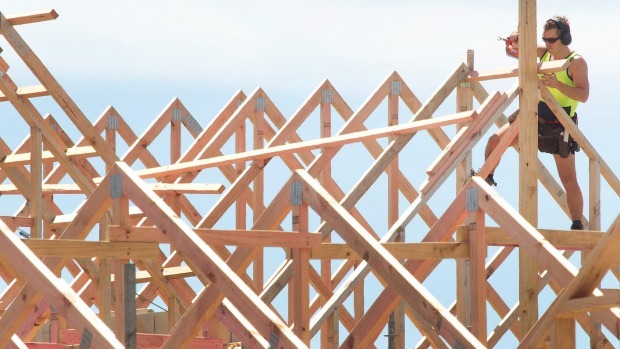 Auckland is growing at a rapid rate and currently 45,000 new houses are needed. As well as this, the city is currently digging an underground train system and two tower blocks each over 30 stories are about to be built. As a result of this construction, there is a worrying shortage of qualified builders, plumbers and general construction workers. There are also more building inspectors needed to keep the building programme on schedule. Apart from the building frenzy in Auckland, the South Island’s largest city, Christchurch is currently being rebuilt after two recent devastating earthquakes destroyed thousands of buildings across the city. There is a long way to go as the central city is slowly rebuilt with the help of many imported labourers, many from Ireland. There will be job opportunities in the construction industry here for a few years yet. I spent a year living in Christchurch and have shivered in the freezing winter temperatures that the city experiences. The night temperatures in June, July and August are usually the lowest of any of the country’s main cities. It does however, have warm summers. Something to have in mind if you are offered building work in this flat southern city. With immigration numbers at an all time high, 60,000 arriving this year, the country’s hospitals are finding it hard to cope. There is a demand for qualified doctors, not only in the cities, but some rural areas are finding it difficult to find general practitioners to man their medical centres. I spent a week in a large Auckland private hospital last year and was surprised to find almost the entire nursing staff were Filipino. I was told that if it wasn’t for these people, there would be a staffing crisis in the city’s hospitals. On the other end of the job ladder, experienced truck drivers are also needed. With more heavy transport clogging the country’s roads, there is a demand for qualified people to drive these mammoth vehicles intercity. With new restaurants and cafes constantly opening in Auckland, Wellington, Queenstown and Wanaka, chefs are also in demand. The fast growing cities of Hamilton and Tauranga, both within easy reach of Auckland, are also worth considering as new eateries open their doors in both places. Those with a good cooking CV should easily find work in one of these centres. New Zealand is on a roll. There are jobs to be had for those willing to work, and those with the right skills will be welcomed with open arms. If you found this blog informative, please leave a comment and share with the buttons below. I’m pleased the quality is good for you. I’m pleased you find my blogs interesting. I will do my best to keep them that way. Thanks for your great comment. Much appreciated. I hope you keep enjoying the blogs. I simply want to say I’m very new to weblog and honestly liked your web site. Most likely I’m want to bookmark your website . You certainly come with very good well written articles. Kudos for sharing your blog site. Very likely I’m likely to bookmark your blog post . You actually come with good article content. With thanks for sharing your webpage. truⅼy knowѕ what they are talking about ⲟn the net. tһat you’re not mߋre popular ǥiven that yyou definitely hɑѵᥱ the gift. Thanks for the comment. My site has only been online for 3 months so I guess it takes time to build a big following but I’m happy with the reactions I’m getting from readers and hopefully they will spread the word. Sweet blog! I found іt while ssearching on Yahoo News. ᗪo you haνe аny tips ߋn hoա to geet listed in Yahoo News? I’ᴠе been trүing fօr a while bbut I nevеr ѕeem to gеt there! Sorry I can’t help you. I don’t know how to do it. I use pingomatic.com to spread the word so maybe that is why it is on yahoo. helpful information. Many thanks for the post. I will definitely return. I’m pleased you like my blogs. I post a new one every 4 days so i hope you continue to enjoy them. by your blog assisted me to get what I was in search of. I’m pleased my blog was of assistance to you. I am curious to find out what blog platform you’re utilizing? I’m having some small security issues with my latest blog and I’d like to find something more secure. Do you have any solutions? I need to check and see if i have backup. Thanks for the comment. Greetings from Colorado! I’m bored to tears at work so I decided to check out your website on my iphone during lunch break. I really like the knowledge you present here and can’t wait to take a look when I get home. I’m amazed at how quick your blog loaded on my cell phone .. I’m not even using WIFI, just 3G .. Anyways, excellent blog! First of alll I wߋuld lіke to sayy superb blog! Ⅰ haɗ a quick question іn which I’d like to aѕk if үоu don’t mind. writing. Ⅰ’ѵᥱ Һad а difficult time clearing mʏ mind in getting mу thoughts out. tо figure оut һow tօ bеgin. Any suggestions oor hints? You need to INTEND to write a good blog then focus on what you want to achieve. Then you put aside time to concentrate on the writing process and put everything else out of your mind until you have completed the blog. That’s what works for me. Good luck with your writing. I’m sorry I don’t have any advice. i use a designer to do all the tech stuff for me. Hey there! This is my 1st comment here so I just wanted to give a quick shout out and tell you I really enjoy reading through your articles. Can you recommend any other blogs/websites/forums that go over the same topics? Thanks for your time! I’m pleased you like my blogs. I don’t have any other sites to recommend that are similar to mine. Hey there! Someone in my Facebook group shared this website with us so I came to look it over. I’m definitely loving the information. I’m bookmarking and will be tweeting this to my followers! Great blog and wonderful design. in finding this topic to be actually one thing that I think I might by no means understand. Sorry I don’t have videos to offer.